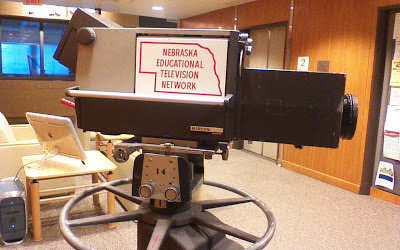 The journalism building at the University of Nebraska-Lincoln is something of a shrine to one-time tools of the trade, both print and broadcasting. A museum, actually. 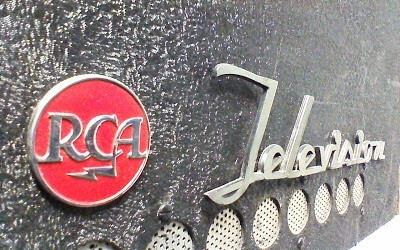 One spread throughout the college, amid the classrooms and conference rooms and broadcast-production studios and computer labs. 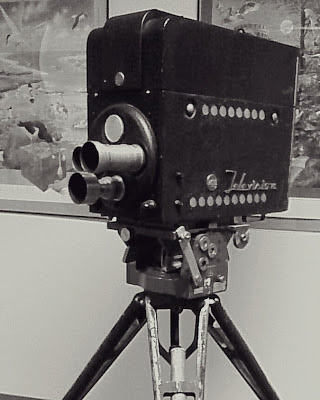 Turn one corner and there's a vintage RCA TK-30 black-and-white camera from the early days of television. Like this one, dating from between 1946 and 1950. Turn another corner, there's a wire recorder and a turntable that cuts transcription discs. And then there's that vintage television transmitter (?!) against a wall of the basement lecture hall. But what had me reaching for the Geritol was how bloody many "museum pieces" I actually have used at some point. Before they were exhibit fodder. NOT ONLY that, I own and still use a not-insignificant number of things in the Nebraska journalism-college exhibit. 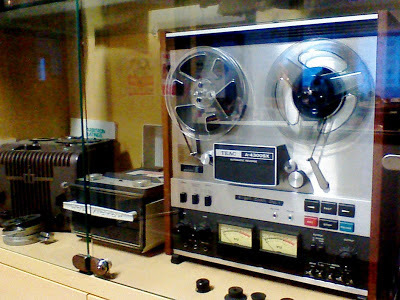 That TEAC reel-to-reel tape recorder below is newer than the one I salvaged from an estate sale and still use -- which is much like what passed for "state of the art" when I was learning the craft of radio in high school. I AM NOT sure what that says about me. Probably nothing good.